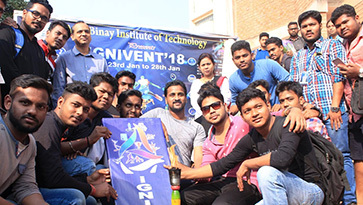 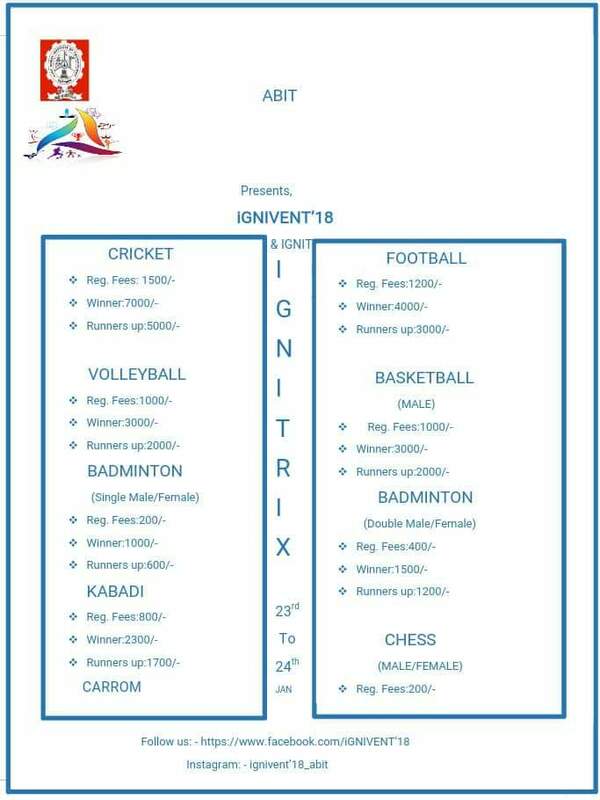 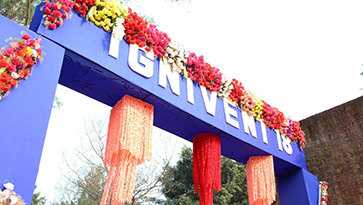 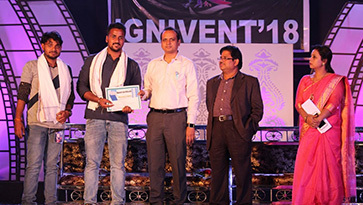 Ignivent is the annual techfest at ABIT and is held in the Institute premises. 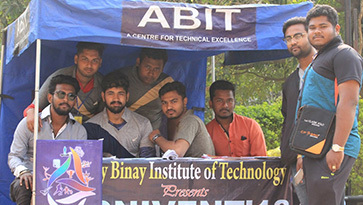 It is a multi-institute event and several engineering colleges from across Odisha as well as few from outside Odisha have participated in this event. 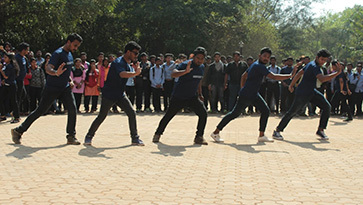 In the last 3 events more than 15 Institutes have participated. 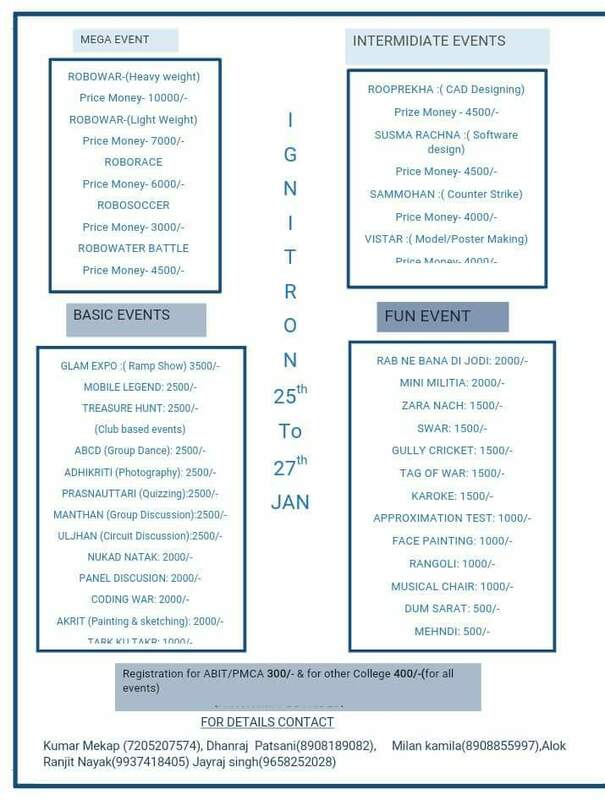 The event provides an avenue for students at ABIT and PMCA to demonstrate practical understanding of the subject matter. 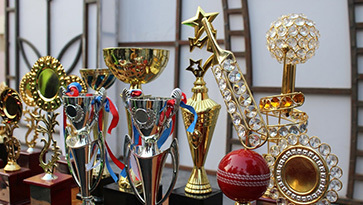 In addition, this develops a healthy competitive behaviour and group working ability amongst students.